My name is Kuba. I am an amateur scientist and artist in California. I am currently a college freshman pursuing a degree in electrical engineering. Six years ago I decided to teach myself 3D design. Since then, I have learned many techniques and established a solid foundation in the skill of 3D modeling. After I completed the construction and successful operation of my fusion reactor, I wanted to start a different project that incorporated my passion for science and aesthetic design. I decided to make a pendant that held a tritium vial as a symbol of my love and passion for science. When wearing the pendant, I was often asked where I bought it and if more were available. 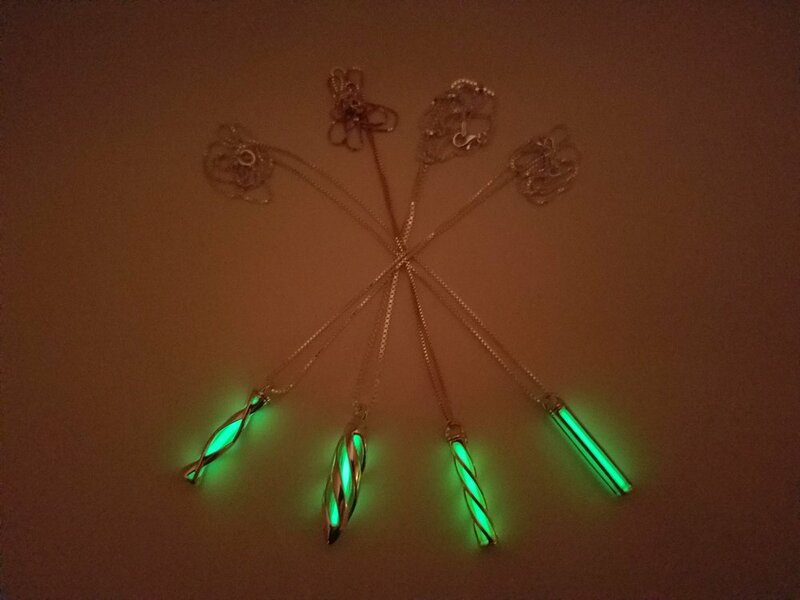 I am now selling my tritium jewelry online to all who are interested. All of my designs are first 3D-printed in wax. The wax model is used to make a plaster mold. Then a precious metal of your choice is poured into the mold and left to harden. I offer all my designs in 18k gold plated brass, sterling silver, 18k gold, and platinum. Each piece is polished to a lustrous mirror-like sheen. I manufacture high quality tritium pendants and earrings that gleam by day and glow by night.